Today was the City of Clearwater’s Annual Clearwater Holiday Parade and also included a downtown Festival from 11:00 am to 4:00pm. The Parade began at Crest Lake Park and Cleveland Street was closed from Crest Lake down to Coachman Park. Here’s a shot of the Costco float with my friend, Tim Glenn, getting into the fun. Costco Wholesale located in the Clearwater Mall is a great supporter of the City of Clearwater and our community activities. We are lucky to have them in our community. Bright House is another company that goes above and beyond and today was no exception – they were here in full force. 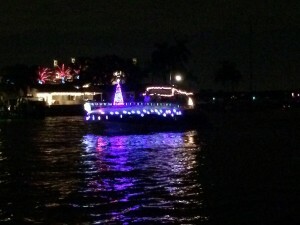 Here are some of the photos I took – thought you’d enjoy the Holiday fun – The great part about Clearwater is that there are always fun things to do here. Beads and candy were a plenty for the children along the parade route. Clearwater is a city that hasn’t lost that local flavor of a good city parade. 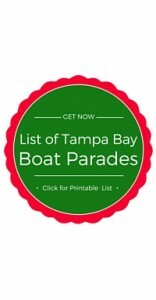 There are so many fun activities going on in Clearwater and Pinellas County this holiday season. 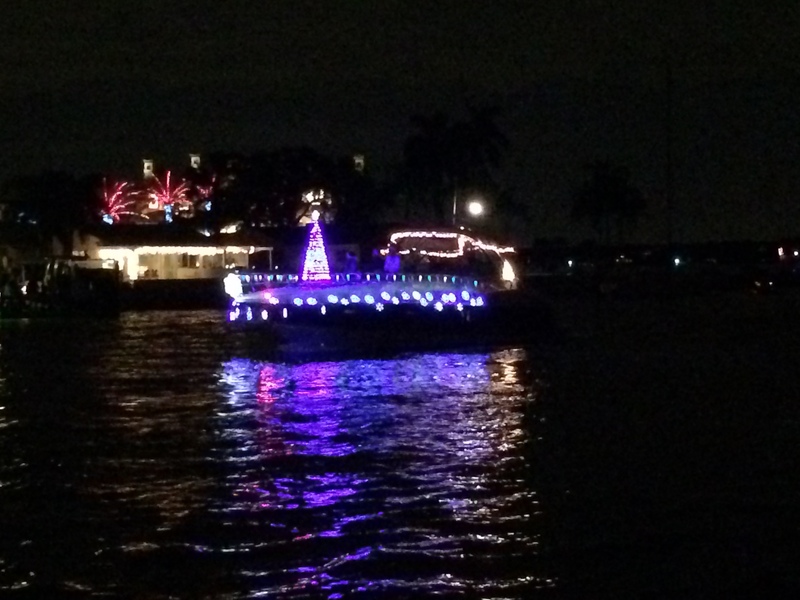 Tonight there were several Holiday boat parades in Indian Rocks Beach, Madeira Beach and Tarpon Springs. We have noticed lots of our Clearwater neighborhoods and our neighbors getting into the Christmas spirit with lots of lights and decorations – seems to be a season where everyone is feeling festive. Wishing you time with family and friends to enjoy the upcoming week – can you believe there are just 10 days until Christmas – Are you ready? There ARE lots of fun things to do in Clearwater Beach this time of year-thanks Cyndee and Jack, for sharing fun. Looks like some fun activities. I was at some parades in Disney World in Orlando last week and they were awesome. That would be a great reason for folks from up north to buy in Clearwater especially if they had children. Disney the day, and a nice Clearwater condo sunset in the evening. Looks like a fun event for the family. I will have to check it out next year. Really well done and informative.